TOKYO (Bloomberg) -- Honda forecast a full-year profit that missed analysts' estimates, as benefits from a weaker yen fade and it increases incentives in the United States. Net income may increase to 595 billion yen ($5.81 billion) in the 12 months ending in March 2015, from 574.1 billion yen a year earlier, Honda said in a statement today. That's 14 percent below the 693 billion yen average of 19 analyst estimates compiled by Bloomberg. Honda is facing headwinds as higher incentives failed to stem a slide in U.S. deliveries even as gains from a weaker yen fade. Sales also fell in China last month, the only major foreign automaker to record a decline in the world's largest auto market. "Since the beginning of the year, we began to worry about their sales in the U.S. market," Masahiro Akita, an analyst with Credit Suisse Group in Tokyo, said. "The competition is getting tougher and their incentive level is rising." While Honda has forecast lower-than-expected profit in the preceding two years, the gap hasn't been this wide. A year ago, its 580 billion yen forecast was only 4 percent below the average estimate. Honda forecast operating profit will rise 1.3 percent to 760 billion yen, 15 percent below the average analyst estimate. It forecast revenue of 12.75 trillion yen, missing analysts' estimate of 12.93 trillion yen. In the January-March quarter, Honda's net income more than doubled to 170.5 billion yen as the company benefited from a weaker yen. Operating profit rose 22 percent to 165.3 billion yen. Honda, the most dependent among the three-biggest Japanese automakers on U.S. sales, has been benefited from Prime Minister Shinzo Abe's economic policies, which helped weaken the country's currency by about 18 percent against the dollar in 2013. A weaker yen increases the value of repatriated earnings and is giving Japanese carmakers an edge over rivals including General Motors Co. and Hyundai Motor Co.
That advantage is waning as the yen has risen 2.9 percent against the dollar this year. The Japanese currency will weaken to 110 versus the dollar by the end of 2014, according to the average estimate compiled by Bloomberg. It traded at 102.36 yen as of 3.14 p.m. in Tokyo today. Honda's mid-term global sales target of 6 million units is looking "very challenging," Executive Vice President Tetsuo Iwamura said today in a briefing in Tokyo. The automaker will be banking on its slate of new compact cars to improve its fortunes. The Fit compact was redesigned in September and outsold Toyota's Aqua -- known as the Prius c overseas -- to become Japan's best-selling car in the October-to-December quarter. It also started to sell the Vezel crossover in Japan. Honda began production of the retooled Fit at its new Mexico plant in February. The company is counting on the model to grab market share from General Motor Co.'s Chevrolet Sonic hatchback and Ford Motor Co.'s subcompact Fiesta. Still, the carmaker faces potential setbacks with its new models after announcing recalls of the Fit Hybrid and Vezel hybrid vehicles to fix problems with its seven-speed transmission system. "It is unusual for a newly launched model to be the subject of this many consecutive recalls," Koichi Sugimoto, an auto analyst at Mitsubishi UFJ Morgan Stanley Securities Co., wrote in a report this month. "We still think there is a risk that the recalls will impact orders, including orders for the Vezel hybrid SUV." In North America, operating profit rose 39 percent to 290.9 billion yen last fiscal year. Honda, whose ratio of sales in the U.S. is the highest among Japan's three biggest carmakers, saw its average incentives in the U.S. surge 42 percent to $2,010 in the January-to-March period, compared with an 11 percent rise at Toyota and the industrywide average of a 7.4 percent increase, according to market researcher Autodata. The rise in incentives hasn't stopped Honda sales from falling for three straight months. The automaker sold 133,318 Honda and Acura models in March, down from 136,038 a year ago, led by a 7 percent drop in sales of the Accord. The Accord, traditionally the second best-selling car in the U.S. after Toyota's Camry, fell to third place behind Nissan's Altima in the first quarter. "In the U.S., expectations that gasoline prices will stay low are making light trucks more popular again," Sugimoto wrote in a report this month. "We expect sales to slow for flagship passenger models such as the Honda Accord, which is well regarded for its fuel economy." Accord sales fell in China at the start of this year because its price deterred buyers, Honda's China chief, Seiji Kuraishi, said during the Beijing motor show this week. Orders increased after the company introduced two cheaper variants at the end of February, he said. Operating profit rose 20 percent to 214 billion yen in Japan last fiscal year. Total domestic sales of Honda rose 18 percent to 848,379 units. Vehicle sales face a 16 percent drop this year, the Japan Auto Manufacturers Association has estimated, as a sales tax rise that began from April 1 damps demand for big-ticket items. Momentum in China has also slowed. Deliveries in March fell 2 percent, the only foreign automaker to record a decline in the world's largest auto market. Honda's sales rose 26 percent last year to a record, as a consumer backlash eased over a territorial dispute between Japan and China. Sales were fueled by the Jade wagon and Crider sedan, the company's first models tailored for the Chinese market. Honda expects sales to rise at least 19 percent to more than 900,000 vehicles in China in 2014. 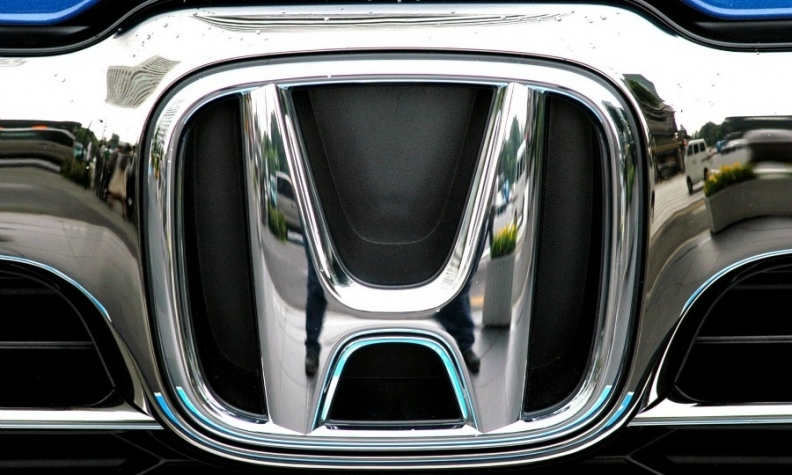 Honda recorded an operating loss of 17.1 billion yen in Europe, swinging from a 460 million yen profit a year earlier. Deliveries fell 7 percent to 145,160 units last fiscal year in the region. Honda has decided to close one of the two production lines at its U.K plant later this year and cut 10 percent of its workforce, as the company expects no growth in Europe in the next two to three years.